This article will show you how to activate or deactivate a campaign. If you deactivate a campaign, agents will no longer be able to log in to it and no leads will be dialed. 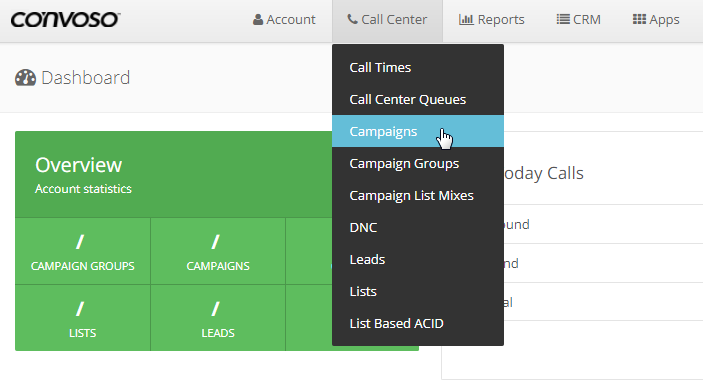 Under Show Campaigns look for the Status Column. Click the ACTIVE/OFF button to activate the campaign and click again to turn off the campaign. Note: In "Show Campaign" section, a dollar sign is displayed on the campaign's status toggle switch if the Campaign is out of funds. A modal box with notification once you hover the mouse pointer on the dollar sign. How do I Setup Alternative Number Dialing?